Wasps, hornets, yellow jackets can carry a nasty sting! These stinging insects can be dangerous to people and should not be near your home and family. Bees on the other hand are the world’s most efficient pollinators and are best left alone whenever possible. 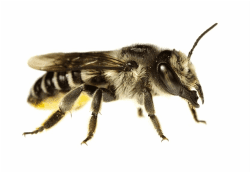 Westside Pest Control Ltd. experts technicians share some insights into the life of bees and how you can identify the different types of bees. 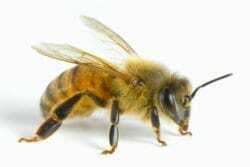 If you have issues with Bees around your home it’s best to get in touch with a humane pest control company or bee keeper. Can I Remove An Unwanted Bees Nest Myself? Although not as menacing as wasps and hornets, bees can be aggressive if provoked. You don’t want to risk setting off an active hive without having the proper personal protective equipment. You should consult a trusted local pest control company bee keeper for guidance on bee nest removal. Honeybee nests are commonly found in hollows of trees, or in the walls and ceilings of houses. They nest in empty, enclosed spaces. Honeybee swarms are something different; when they are not a giant cloud of tens of thousands of bees in the sky, they form clusters that hang from trees or clump onto buildings. Swarms are not permanent, the bees send scouts to look for new places to live, and generally last a few hours to a few days. Bumblebees nests are commonly found in birdhouses, composts, under sheds, and in the insulation of buildings. Nests are usually covered with insulation or other light material, but when this is removed they can be seen to consist of yellow, bulbous cup-like structures made of wax. Bumblebees are important native pollinators of flowers and food crops. 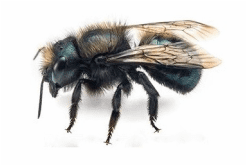 The mason bee are solitary, stingless bees that are excellent pollinators. Mason bee houses are commonly sold at garden shops. Mason bees nest in small tube-like spaces, sometimes nesting in the small gaps between shingle siding of houses. They are harmless, and cause no damage to structures. The procedure is to let them be. of 1/3 of the world’s food crops, making Honeybees a protected species. 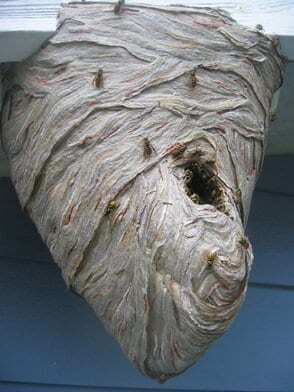 Got a Wasps Nest On The Side Of Your House? Got Problems With Wasps Inside or Around Your Home? First things first… DIY pest control can be very dangerous with the correct safety equipment. Leave the removal and extermination of pests to the experts. Call a local Pest Control company to handle it for you. Need Help Managing Those Wasps? After a few simple questions, free estimates can be given over the phone for wasp control in Vancouver and the rest of the Lower Mainland. 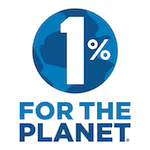 Call the Vancouver Pest Control experts now at 604-559-9060 or contact Westside Pest Control by email.